Didn’t make it to E3 or PAX? 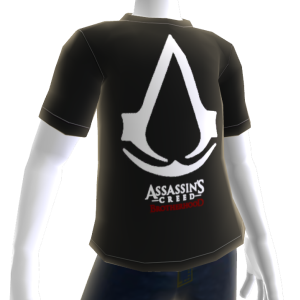 Don’t worry, you can still represent in the exclusive red logo t-shirt designed by the Assassin’s Creed Brotherhood development team. Kirjaudu sisään ja näe tämä avatar-hahmosi yllä.